For most of us the new year comes on the 1st of January but if you stop to think about it September brings about it’s own brand of newness. 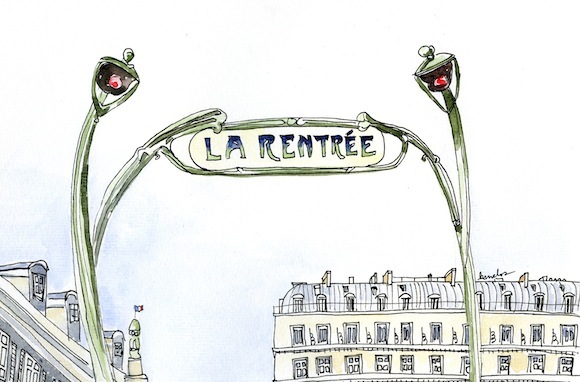 The French call it la rentrée, when we return from summer vacation to work, to school, to a new season. We’ve enjoyed the final hurrahs of summer with the close of August and now it’s time to sharpen our pencils, put on our new school clothes, and pack our backpacks, even if only metaphorically! Fall offers us an opportunity to have an early new year cleanse – fresh starts and reforms without the official holiday resolutions, and the guilt that almost always rears its ugly head in February. There is that saying “turning over a new leaf” which basically translates to making a change and as the leaves change color and begin to fall all around us, perhaps that saying takes on an even more poignant meaning. With every red and gold leaf, I am reminded of a new beginning and the excitement of a new year, all bright and shiny and waiting to be filled with new projects, new and improved habits, and lots of hot, sweet drinks that revolve around apple cider with sticks of cinnamon or creamy chocolate topped with cool whipped cream. Fall is warm, crackling, and cozy and I’m ready to break out the warmies, get to ballet class early so that I can enjoy the layers of sweater and fleece, and dance to the strains of Tchaikovsky and dreams of The Nutcracker that will be here sooner than you know it!